Dun Laoghaire-Rathdown County Council deployed 20 staff from its household waste collection unit last week in a bid to address a €10 million hole in the authority’s finances after the desertion of more than half (32,000) of its customer base in the 20 months up to October. Industry sources believe a recent High Court action taken by the waste companies Greenstar and Panda raises questions about the incinerator’s viability. Don't feed the worms at Dublin City Council. Penalties apply if Dun LaoghaireRathdown does not supply enough waste for the incinerator, write Niamh Connolly and John Burke. One of the four councils expected to supply waste to the planned Poolbeg incinerator may fail to meet its commitment, raising questions over the viability of the waste-to-energy project. 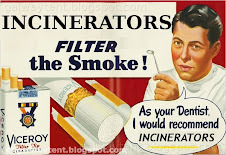 Dun Laoghaire-Rathdown County Council (DLRCC) mayor, Cllr Tom Joyce, told The Sunday Business Post that the local authority might incur penalties for failing to supply enough waste to the incinerator, which was last week granted a licence by the Environmental Protection Agency (EPA). Dublin City Council signed a contract in September 2007 with the joint US/Danish consortium - Dublin Waste to Energy Ltd - to design, build, finance and operate the Poolbeg plant. Dublin City Council coordinates the Dublin waste strategy on behalf of the capital’s four local authorities. The four councils have under taken to supply over 300,000 tonnes of waste to the incinerator annually, as part of the deal, which is a key element of the Dublin waste management strategy. But the amount of waste being collected by DLRCC has fallen dramatically since the agreement was signed. The authority deployed 20 staff from its household waste collection unit last week in a bid to address a €10 million hole in the authority’s finances after the desertion of more than half (32,000) of its customer base in the 20 months up to October. DLRCC’s tonnage of ‘black bin’ waste fell from 65,000 to 18,000 in the period. In a briefing to councillors in October, Dun Laoghaire council manager Owen Keegan said the authority was likely to review its continued participation in the capital’s waste plan, due to financial concerns. A spokesman for the council said last week that no such review was under way. ‘‘The amount of waste being collected by us is considerably less now that the amount we were originally supposed to contribute, and it’s lessening by the day,” Joyce said. ‘‘We will have to take a look at whether it is in our interest to remain in the Dublin waste plan,” the Fine Gael councillor said. A key ‘put or pay’ clause in the September 2007 deal requires the councils to guarantee the waste annually, or make loss-of-profit payments to the consortium behind the Poolbeg incinerator. The company said conditions attached to the licence issued by the EPA had not yet been calculated, but ‘‘will not make the plant financially unviable’’. Covanta is now reading through the 200 conditions to work out the implications; a spokesman said work was due to start on the plant ‘‘during the first quarter of 2009’’. ‘‘On first read, Covanta is confident it can meet all these conditions. Like the EPA, it too wants to ensure the plant operates safely and legally. We also welcome the condition to liaise extensively with the local community,” the company said. Nonetheless, industry sources believe a recent High Court action taken by the waste companies Greenstar and Panda raises questions about the incinerator’s viability. Thetwo companies are challenging Dublin City Council’s attempts to ensure that collection is carried out by the council or a collector under the council’s control. Dublin City Council said last week that it did not anticipate work on the incinerator would start until the second half of next year. Fianna Fail backs the incinerator, but Green Party deputy Ciaran Cuffe criticised the move by council officials to sign the contract. He accused them of pre-empting a decision on the Poolbeg incinerator by making financial commitments before approval for the plant had been granted. The 600,000-tonne incinerator needs waste from the four regional authorities, Dublin City Council, South Dublin Council, Dun Laoghaire Rathdown and Fingal, to ensure cost efficiency. Panda, which operates in the east from Dundalk to Dun Laoghaire, has just signed a contract to build the largest recycling facility in Ireland, in a move that raises further questions about the capacity of the incinerator. The €3.25 million warehouse at Beauparc, Co Meath, would increase Panda’s ability to achieve up to 90 per cent recycling of all the waste it handles, according to the company’s general manager, Brian McCabe. Minister for the Environment John Gormley came under fire last week over his failure to take action to prevent the incinerator in his own Dublin South East constituency. The controversy could damage Gormley’s electoral prospects next time around, on the basis that he has opposed the project for the past ten years, but stands accused of being ‘‘ineffectual’’ in government. Gormley was one of more than 2,000 individuals and environmental groups that lodged objections to the incinerator with An Bord Pleanala in October. While Gormley insists that his ministerial powers do not allow him to interfere with the process, the Labour Party’s Ruairi Quinn said the minister had been told last summer that it was legally possible to seek a review by Dublin City Council of its waste management plan. The Labour Party wants to pursue a judicial review of the plan. Quinn said Labour’s legal counsel, Finbarr O’Malley, had advised that the Waste Management Act, 1996, section 24c, allowed the minister to intervene using this mechanism. 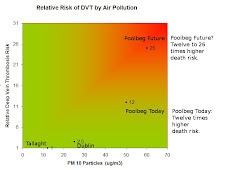 Such a review would reveal that the capacity of the incinerator ‘‘was excessive, because the evidence pointed in the direction that there would be less to incinerate than the amount and the scale of the plant in Ringsend [would allow],” said Quinn. Gormley last week warned Dublin City Council that it would be ‘‘unwise’’ to proceed with the project, and he is taking policy steps to ensure that the incinerator is not economically viable by promoting mechanical and biological waste treatment and imposing levies on landfill and incineration.